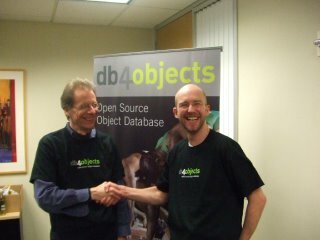 I visited db4objects in December. 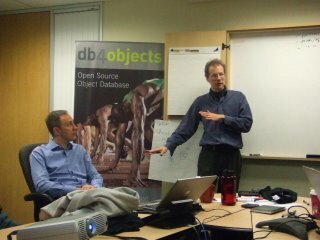 We had a good discussion on object databases and native queries. Here are some photos. I am sad to say that my Alma Mater major department, Computer Science at Tulane, is being eliminated. I wonder how they can lay off tenured faculty and just shut it down. I have many fond memories of the department. It was a great place to learn and grow. A very nice review of db4objects and Native Queries by Jeff Brown. This was also picked up by TheServerSide... we'll see if there is any discussion.